The weather is cold, so we all have to move our workouts inside. For many that means either working out in our living rooms or going to a nearby gym. While neither of these options sound inviting, they are what we are left with. Fear of the gym, performance anxiety in front of many people, is a real phenomenon for all people. Gym anxiety is further compounded for people with a facial difference, different anatomical structure, in wheel chairs, with artificial limbs, and other physical differences. So what to do? Holding an experimental mindset will help you walk into the gym. Thinking "let me try this machine out for a couple of minutes" versus, "I must use this machine for x amount of reps and x amount of sets or I am a complete failure at life." could mean the difference between regular attendance at the gym and never returning. If our minds are flexible, then our body will follow. Pick up a weight, 2 lbs, 5 lbs, whatever, and see how it feels in your hand. Try a basic bicep curl, or a shoulder press. Ask yourself, "how does that feel?" If you didn't like it walk over to something else, like the TRX functional training, or the mats to do some stretching or basic, body weight exercises. The stretching and body weight stuff can even happen at home! Be open minded. think of the gym as you once thought of your elementary school playground. Try the slide, swings, or just hang out and watch as others do. You can learn a lot by watching someone. File this article published in Self Magazine under "one-size-does-not-fit all." For those with Treacher Collins and Apert Syndrome that may feel daunted by the gym because your form is not "right," we see you and hear you. And now, someone has written about it, too. People probably wonder how they could approach the gym if they have different bone and joint structure than others. Everyone is built differently. While there are general best practices for how you should lift weights, run, etc., they may not be correct for your body. 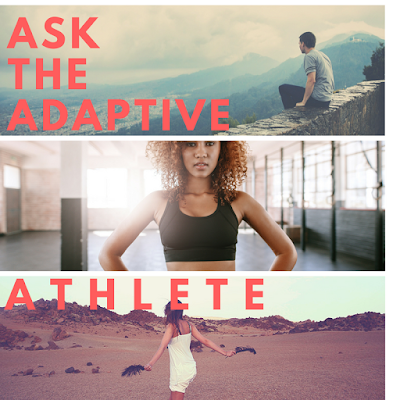 Check in with a physical therapist or personal trainer in order to learn how your body works best. While you are at it...(here's the disclaimer): Talk with your doctor before you begin any exercise routine. If you are interested in running, get gait analysis done, or try the different cardio machines to see which is the best fit for you! If you can't afford a personal trainer, feel free to ask me any questions that might come up at kjackman98@gmail.com. Also, just slowly take on that experimental mindset and explore the gym like you once explored the playground. See how you feel during the chosen exercise, does it hurt? Are you sore? Reassess in the hours following a workout and in the days after to ensure you do not injure yourself. Don't worry if the exercises and lifts that you are performing do not look like those done by others around you at the gym. You need only to do what is right and safe for your body. If you are a Florida resident, you may benefit from this informative document focusing on all kinds of medical resources available to you! Special Health Care Needs Guide for Florida was updated in July. We, at CCA, thought we would share it with you. We are so thankful for Gingertown Dallas. Now in its ninth year, this display of gingerbread houses and other creations made of confections has helped Children's Craniofacial Association. 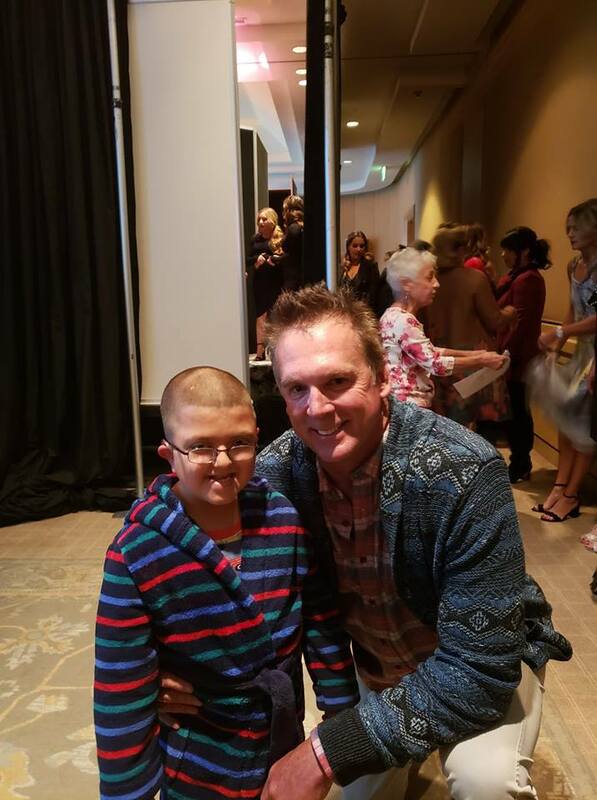 In 2018, just over $20,000 was raised in Dallas through this incredible event. This year Jono Lancaster, motivational speaker and founder of the nonprofit Love Me Love My Face, will speak at this year's build event on Monday, December 3rd at 5:00PM. Dozens of local architects and construction firms come together to create a Gingertown built to scale. Gingertown, started in 2006, by David M. Schwarz Architects "is a unique holiday initiative which brings together talent from local design, urban planning, engineering, and construction firms for a live build competition to help spread joy and hope during the holidays." We are thrilled that all these firms come together to help raise awareness about CCA Kids at a place where so many people come together to purchase presents for their friends and family. WHY: Gingertown is a fundraiser for CCA, but it's free to all participants. Local architects and builders sponsor this event. MORE: Call the office (214) 570-9099 or email us with questions. Handsome. Dashing. Fun. These are just some adjectives that describe Jordan Watkins who walked in a recent, charity fashion show to benefit the Orange County Ronald McDonald House in Southern California. Like every other supermodels he had the opportunity to rub elbows with celebrities and other beautiful people. He even got a picture with former Los Angeles Angels pitches, Chuck Finley. Jordan's beauty is far more than skin deep. 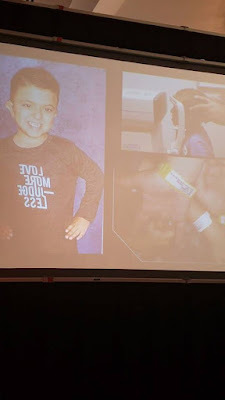 He and his mom and dad, Dorina and Memo, took the opportunity to inspire and inform people in attendance about Crouzon Syndrome, kindness, and acceptance with a few snapshots. You are a wonder, Jordan. Thank you for sharing your smile, your story, and CCA's message, "Love More, Judge Less" with this Southern California audience. Get a CCA "Love More, Judge Less" T-shirt in our webstore. Learn more about the Orange County Ronald McDonald House on their Facebook page. If you are a patient at Children's Hospital Of Orange County, this may be a great place to stay when you have appointments or procedures planned. When our Daughter, Hannah, was 4 months old we noticed a ridge on the top of her head. We inquired about it at her 4 month visit but no one was concerned. We were clueless to what it could be so just trusted it was all right. At 6 months I pushed again at her check up and they said they would run X-Rays. 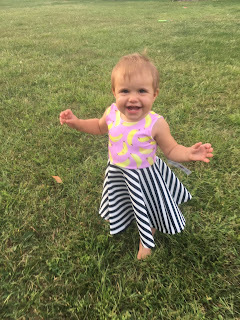 We did those right after her appointment and the next day we learned about Craniosynostosis for the first time! It was confirmed that her X-Rays looked concerning. We had the choice of seeing someone locally who was a neurosurgeon who did not specialize in kids or to go to University of Michigan, which is two hours away. We immediately said University of Michigan, knowing we would not be satisfied anywhere else. They were able to get us in two weeks later and the surgeons confirmed that she had Craniosynostosis. 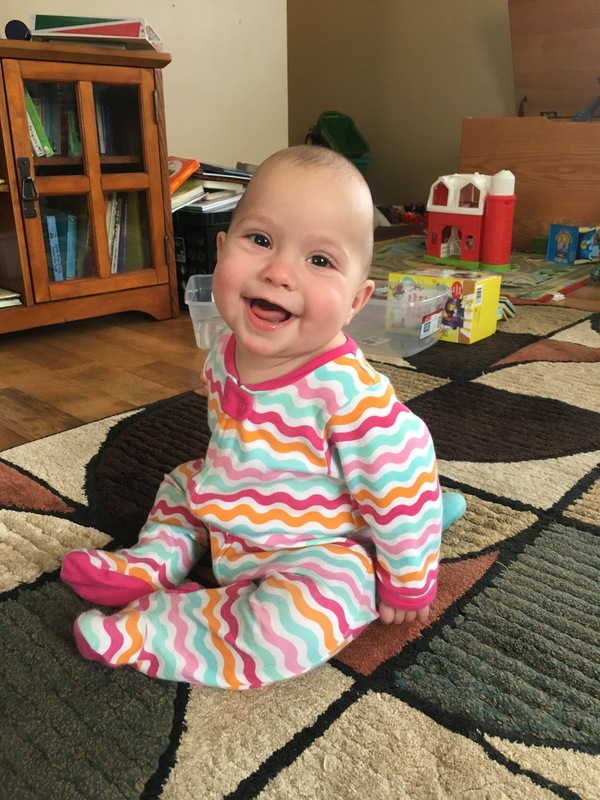 Hannah had surgery on Valentine's Day 2017 (a Wednesday) at 8 months old. While it was terrifying to wait during the surgery and to see her after with her head wrapped and face swollen, we had faith in the surgeons. She ended up needing a blood transfusion during the surgery and shortly after we left the recovery room. Her eyes were swollen shut for a few days after the surgery, too. After all these expected side effects of surgery, things would improve a lot for Hannah. When her eyes opened back up on Saturday, this girl was happy and ready to crawl around and be her normal self. While we were overjoyed by her enthusiasm for life, this absolutely terrified us!!! It is crazy how their little bodies bounce back so fast after such a big surgery. She was all smiles after this, except she would get mad at us when we would not let her do stuff. The next two weeks my husband and I took turns working from home, both lucky to have jobs that would allow us a flexible schedule. 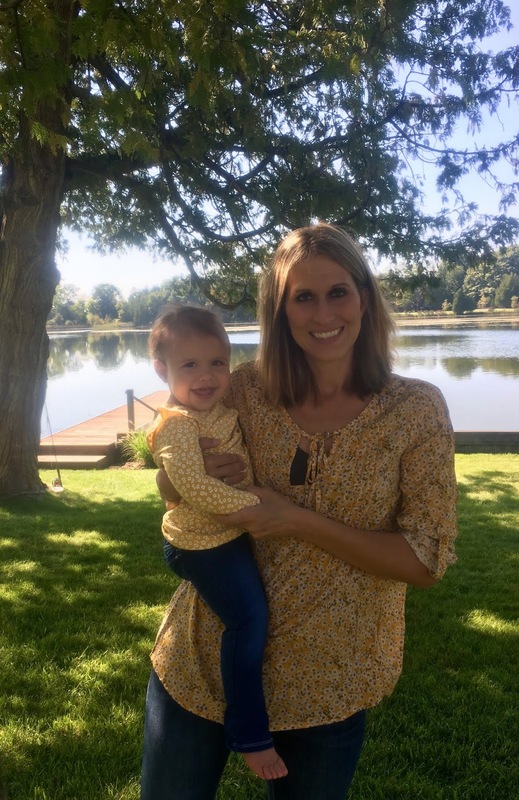 After those two weeks my Mom came to stay with us for the next two and half months until Hannah was cleared to go back to daycare. We were so lucky to have that help! I do not know what we would have done without Hannah's grandmother. Fast forward seven months later and you would barely know by looking at Hannah that she had surgery! Her hair mostly covers her scares and she is still a strong little girl who has no clue what she has been through! While we were in the hospital I signed up to sell Usborne Books & More as a fun side gig as I already work full time. I figured if I did not like it I could just stop, no harm no foul. I knew I loved the books and being social, so I would probably love it. I held my launch party and donated all of the reward books to Motts Children Hospital. They got over $400 worth of books!! We dropped them off during Hannah's three-month check up. 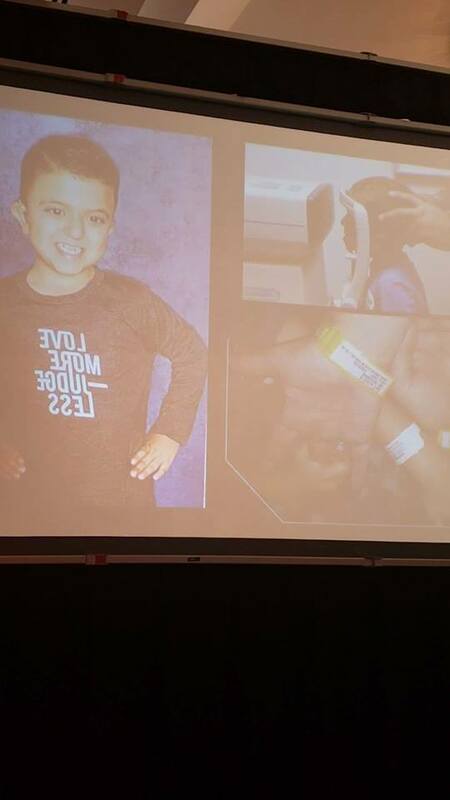 In June, I held a party where all those rewards went towards Cranio Care Bears, an amazing Organization that sends care packages to kids who are about to have surgery for Craniosynostosis. They received about $200 worth of books. For this fundraiser, my incentive period was up so I could not offer double rewards like I could for my first party. Then in September, for Craniofacial Acceptance Month, I knew I wanted to do something for an organization that helped kids like Hannah. So I decided to hold a Cards for a Cause party and donate the funds raised to Children’s Craniofacial Organization. I posted on social media to my friends, family, co-workers and Usborne VIP page that I was selling boxes of cards with 30 cards in them for $30. I told them the proceeds were going to CCA. I ended up selling 20 boxes of cards, netting a $240 donation to CCA!! I am super excited to be able to help an organization that helps kiddos with craniofacial abnormalities. Thank you for all you do! 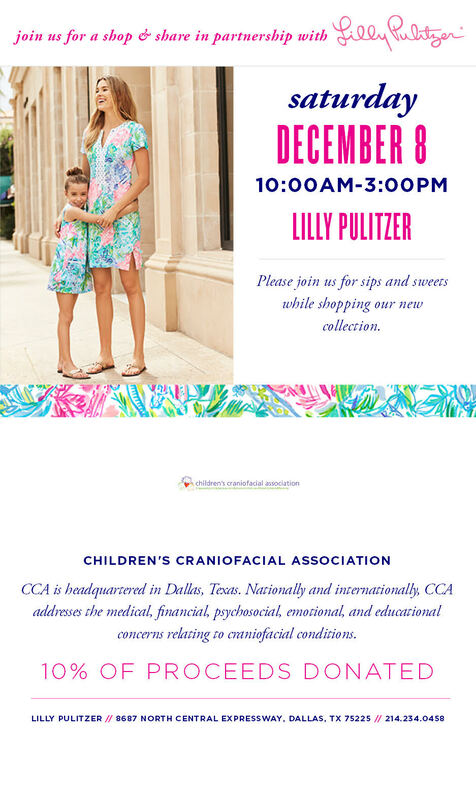 Help Childrens Craniofacial Association with free donations! Shop online with iGive.com. Right now, iGive is giving out bonus donations! New members who join by 9/15 can get an extra $3 donation for Childrens Craniofacial Association. The stores make this possible because they want you to like them and shop till you drop. There's over 1,900 socially-responsible stores helping to make donations happen. 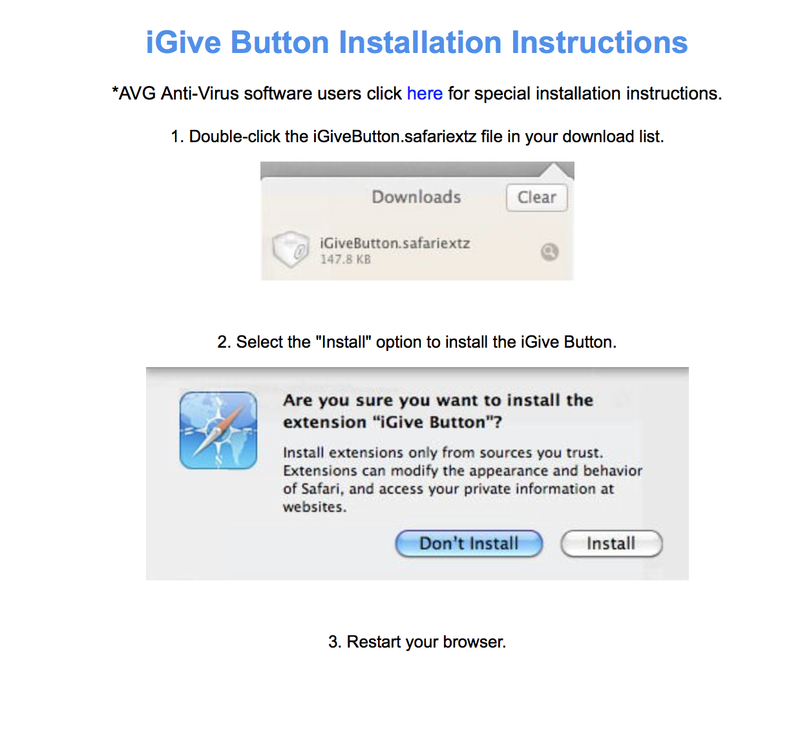 Install the IGive browser by following this three, easy steps! Shopping is easy. When you go to one of your favorite retailers that is a member of IGive universe, the button you installed on your browser will pop up, prompting you to click it, and begin shopping on for all your favorite goodies! A regular column on craniofacial news and technology by Dr. Francis Smith. Dr. Francis Smith sits down with Dr. Michael Dixon of the University of Manchester, United Kingdom. He discovered the Treacher Collins syndrome gene (TCOF1). The interview was conducted on October 19th at the University of Manchester and focuses on Dr. Dixon's pioneering research that led to the discovery of the gene and why this research matters so much to those born with TCS. Help us gear up for #GivingTuesday! Tell us why you give to CCA in the comments below or on the CCA Facebook page, add the hashtag #GivingTuesdayCCA, and we will feature your story in the weeks to come. 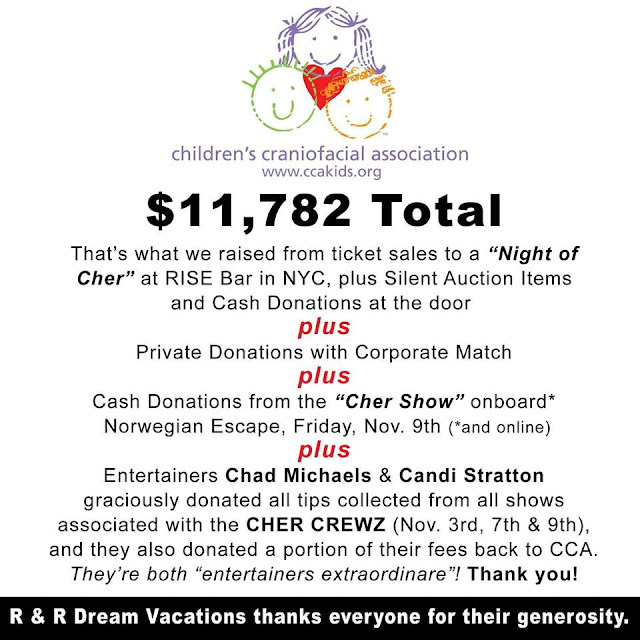 An incredibly successful fundraising event took place on the high seas netting Children's Craniofacial Association $11,782 in just one week. The Cher Crewz began in New York and set sail on board a Norweigan Cruise Liner thanks to the coordination of R and R Travel and dedicated Cher fans. 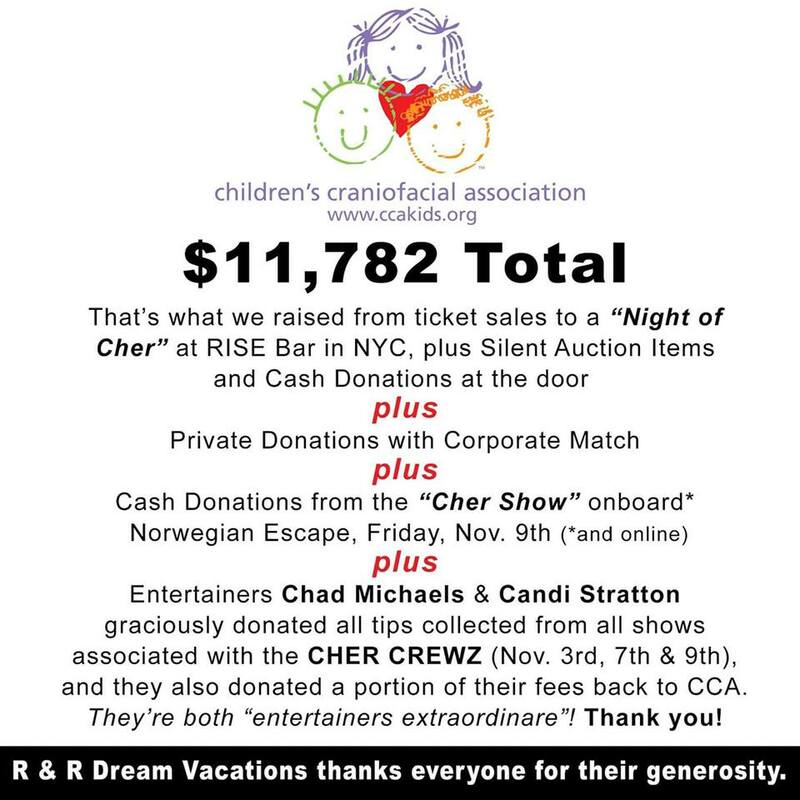 At the beginning of the week, Cher enthusiasts descended on Rise Bar in New York City to raise money for CCA kids, enjoy performances by Chad Michaels, winner of RuPaul’s Drag Race and Candi Stratton, Miss Trans USA 2019, and bid on silent auction items during the first week of November 2018. Thanks to ticket sales and silent auction items CCA raised $4,400 at this one-of-a-kind event. This diehard group of Cher fans were headed on a cruise together, but not before giving back to our kids. The night began with some drinks and dancing at the bar surrounded by the bright lights of New York City and Cher fans from around the world. Later, Chad Michaels sang a few Cher tunes complete with a number of elaborate costume changes just as the diva herself would do. Next Candi Stratton performed for the crowd stepping out into the audience to dance and interact with everyone in the club. To close out the performances, parent and former CCA board member, Paula Guzzo, spoke about the impact that CCA had on her family after the birth of their son Scott Guzzo 34 year ago. Scott was the CCA ambassador for the Cher Crewz that departed the next day. Many talented and generous people were kind enough to donate items to the silent auction. Artist and friend of CCA, Scott Clarke donated a number of his Cher-related artworks. A signed Cher T-Shirt, poster, backstage passes and a hotel stay at Hilton’s Millenium New York Downtown hotel were all ripe for the bidding during the evening’s festivities. More performances would await the Cher fans once they boarded the Norweigan Cruise Line ship, Escape. An additional $7,382 was raised through tips donated by both Candi and Michael, more auction items won, a $1,100 donation by the Guzzo family rounded out the fundraising on board the ship throughout the week. The $1,100 donation was matched by global pharmaceutical giant, Bristol Myers Squib. Throughout the week-long voyage, the Guzzos took the opportunity to speak to group of Cher fans and other cruisers about CCA and what it does for our families. Scott, Paula, and Bob Guzzo made this cruise a rousing success, pushing us into a double-digit total of $11,782. Many people were involved in the logistics of cruise, most importantly the Ralph Martinelli and Robert Ryan, of R and R Travel. We cannot thank them enough for considering us as benefactors for this year's Cher Crewz. Many thanks also go out to Rise Bar NYC, who played gracious host to the VIP event on Saturday, November 3rd. Excellent work! We love you all!